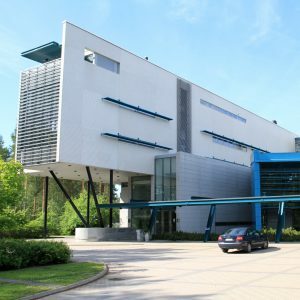 You need to visit the Student Center at the University of Oulu with all your documents specially the acceptance letter and your valid passport. Take a ticket from the machine for “student affairs” and wait to be call by your number. Take in consideration that during the orientation week there will be many students from Finland and International Students that will start the semester as well as you, thus, make sure you go with time. As you may notice it, the payment of the student membership will help to you safe and re-purpose that money with more benefits than without it. So, once again I strongly recommend you pay the fee and get your student card as soon as possible during the orientation week. Notice that for being granted the discounts at the university cafeterias and restaurants, you may need the student card or the document that will be given to you once you register in the Student Center. The physical student card may take longer time to get so make yourself some time to make it in advance and without it some discounts are not in use like the train and the bus transportation nationwide. This matter has a significant importance, since you will need to validate your university account to sign in for the courses, exams, mails and overall check everything related to your studies. To accomplish successfully the registration of your university account, you need to visit the same Student Center, and get a ticket for the IT section - you may need to take another number for it if you are in the queue for the student’s affair- since it will be loaded with students waiting for obtain or verify their accounts and mail during the orientation days. This verification also depends on which kind of student you are e.g. exchange students may have prior access to it and degree students should get it when they get registered in the university. You may also ask for your printer RFID sticker that is linked to your university account to make easier the printing or photocopying since without it is impossible. With the sticker, you will get some credit that is preloaded in the card which can be use for printing or copying from the moment you get it. Notice that if you run out of credit or saldo in the RFID sticker you can always load it up in the same place. Remember to put the sticker in a card or your wallet to bring it always with you, in case you need these services.